Evver was a new kid in town. 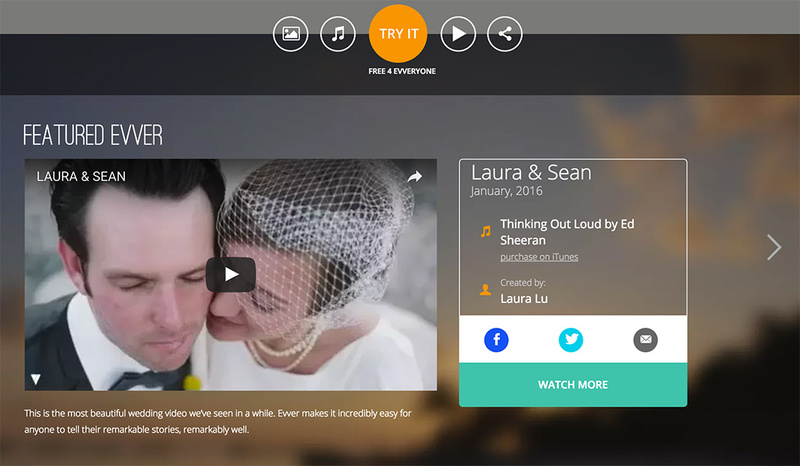 It was a startup with a compelling offer: upload your photos and choose a song, and their software will sync the photos with your song into a musical slideshow that follows the rhythm of the music. Cool idea, right? 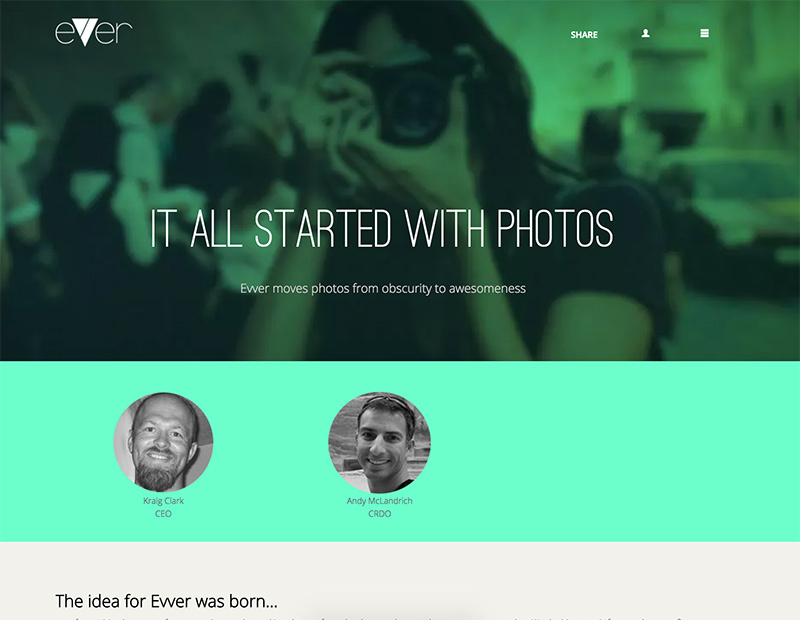 The Evver team had put tons of money and effort into building the back end software, and that was ready to go. What they needed was a front-end website to show off the cool stuff their program could do. The website needed to draw people into trying out the software for free, and it needed to work across any kind of device. A secondary goal was to expose website visitors to new artists through licensing agreements, and bolster sales for those artists. Teaming up with a design firm and a strategic copywriter, MWD Web joined the game as the development partner. With the team assembled, we got to work designing and building the website. 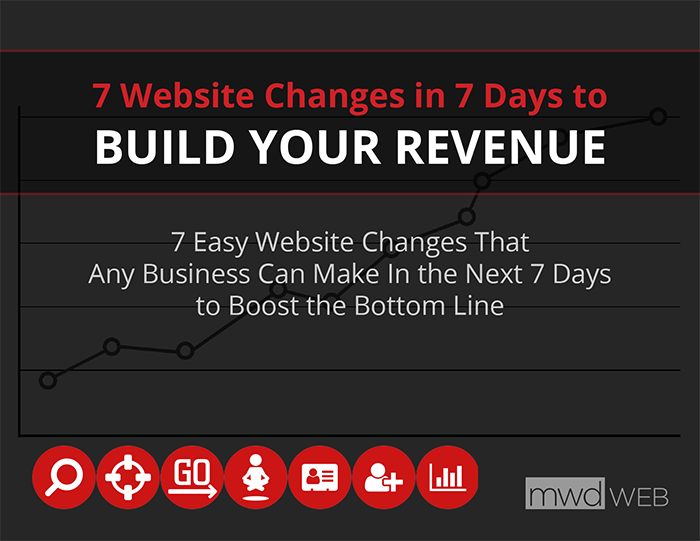 To reflect this, the website was designed to be heavily visual. It also had to be easy for the Evver staff to update: every picture, every link, every little section of text—all had to be easy and intuitive. To that end we built the website on a powerful content management system, and incorporated a wide range of custom page templates. Evver staff only had to log in, update the area(s) they wanted to, and hit "Save." Every conceivable element on the website got the customization treatment. Evver staff could even choose what color the navigation links should be on a page-by-page basis. 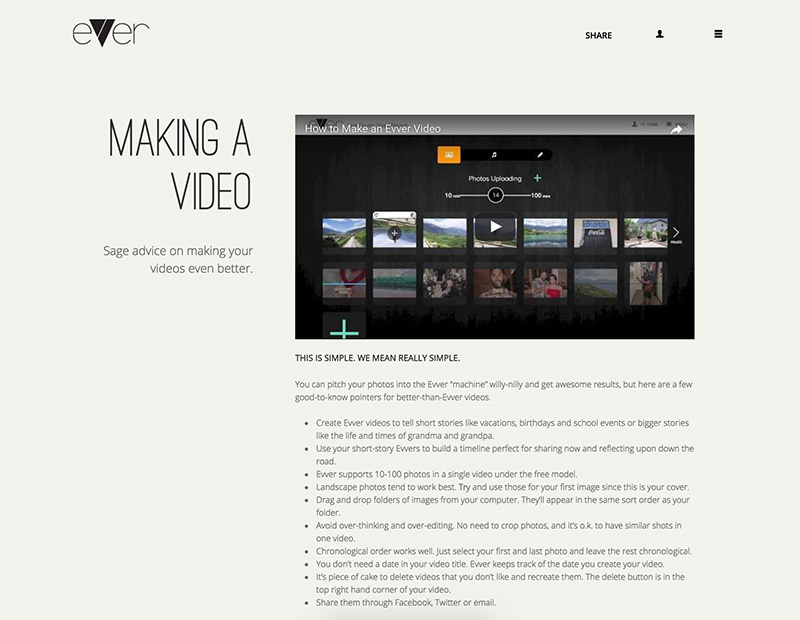 A "Featured Evver" section on the home page gave staff the ability to choose one of their favorite user videos and highlight it front and center. We also translated the design into responsive breakpoints, ensuring that the website provided a smooth user experience no matter what kind of device the site visitors accessed it from. 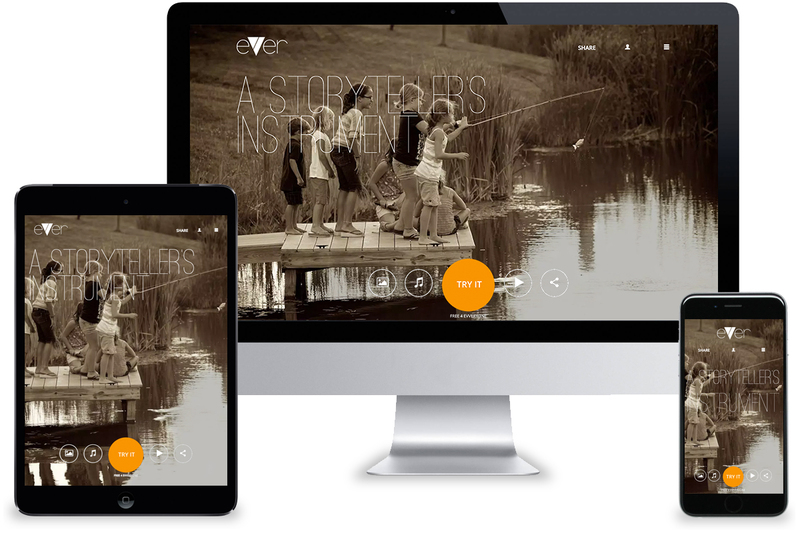 At launch, Evver had a robust front end website that did justice to the sophisticated software powering the video engine. Visitors to the website found that they were immediately captivated by the concept, and a substantial number of videos were created in very short order. 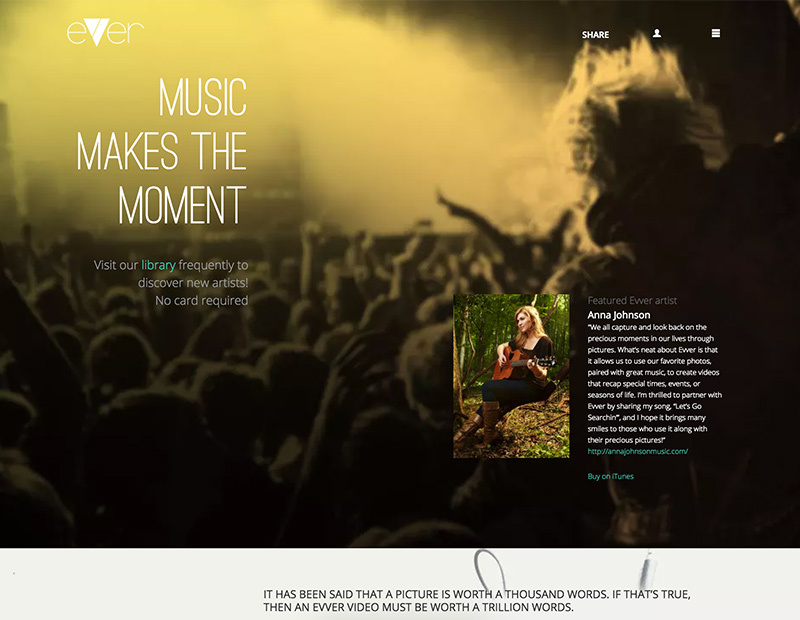 All the while, users are discovering new artists and boosting sales to these musical acts. Why not become our next success story?